It’s a timely reflection during a contentious election year when we are living with a level of division that can cause us to question what we see and if others are looking at the same thing. Clearly not everyone sees the candidates or the presidency or the best course for America the same way–not our neighbors and not even our family members. What we see and how we see it is more than a matter of how light rays reflect and enter the cornea. Vision infers a kind of interpretation or as Anais Nin famously said, “We don’t see things as they are, we see things as we are”. I learned the hard way that even history is up for interpretation depending on who is doing the interpretation. What happened was that I simply brought home my middle school history homework. Not surprisingly my Serbian mother took issue that my textbook pointed to the two Serbian “terrorists” who started World War 1 when they assassinated Arch Duke Ferdinand. Apparently that was a small part of the larger story. Still she was furious that Ferdinand’s death was being viewed in isolation and she was ready to march down to my school to give my teacher a history lesson of painful personal context. She knew first-hand the complexity of events and ideals that would become World War 1, telling me what the classroom had not. That years of ethnic conflict had resulted in 30,000 Serbians being held in Austro-Hungarian death camps. Her mother, grandmother and my aunts were held and several died there. This was the first time in my life when I questioned that not everything we’re told—even in school–is the entire truth. So does that mean truth is a moving target? Not exactly but it can involve a certain amount of bias, positive or negative. We see what we’ve been taught to see and… we see what we want to see. It was the same with the disciples. They did not want to see that Jesus wasn’t going to save them in the way they wanted to be saved. They were looking for a military hero so in the beginning it was not good news that he was a global hero of an entirely different type. And so Mark tells us the story of Jesus’ desire to instruct his followers in matters of spiritual and physical short-sightedness. Their myopathy didn’t allow them to see who Jesus was or the fullness of why God came down in Jesus. 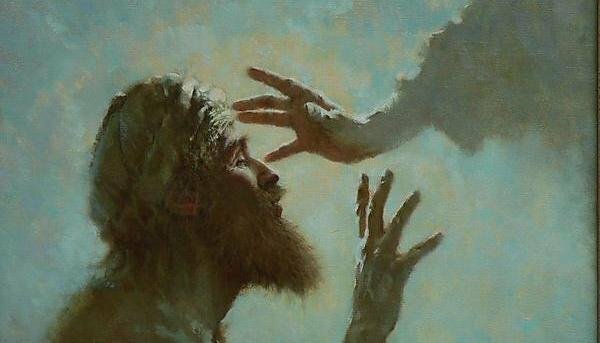 Despite his every attempt to tell a larger truth– that he had come to set ALL the captives free, that he had come to bring sight to ALL the spiritually and physically blind, they remained blind to the big picture. They were so blind that they skipped right past Jesus’ painful pronouncement of suffering and certain death, jumping like spoiled children to ask for status in the life to come. They may as well have said, “Wow Jesus. If you’re going to be THAT kind of king, then can we sit next to you? Do we get a crown? What color will my robes be?” Which—spoiler alert–Jesus then contrasts with a physically blind man who asks Jesus not for privilege but for mercy. The irony that jumps off the page is that Bartimaeus COULD SEE Jesus’ truest identity when the disciples could not. I heard recently about a strange but real innovation in tourism. It’s known as “sightseeing for the blind.” If it sounds like a cruel and insensitive joke, it is in fact a bona fide industry that enables the vision impaired to safely experience famous landmarks and locations through their other senses, particularly hearing and feeling. It was these same senses as well as spiritual eyes that guided Bartimaeus to Jesus. What a great lesson! We would all be served by employing all of our senses! What if we asked ourselves if what we think we are seeing is accurate? What if when a person in our circle is acting mean, we ask if there something behind the behavior that we are not seeing? Is God placing before us clues to spiritual transformation that we are missing because we don’t know to look for them? We cannot see what we do not think is there? If we think God is a nice idea but an absentee parent we’re secretly mad at–what if we’re not seeing the evidence that God is very much present! Even when we do not SEE God, God is there! Bartimaeus could not see but Bartimaeus wanted to see. Bartimaeus could see that Jesus was coming near and he called out. Jesus answered. Be like Bartimaeus. Open your hearts and your eyes to God and you will see. Previous PostThe Empire Strikes Back…MeanwhileNext PostJesus Loves Me Yes or No? Pastor Jeff preached about listening this morning. It was very similar to your hearing and there appears to be a emphasis on the senses this week and this season of Epiphany. You can’t see God. You can’t hear God. You can’t touch God. Faith is sensing God and believing and living the Word. Bring on the commandments.